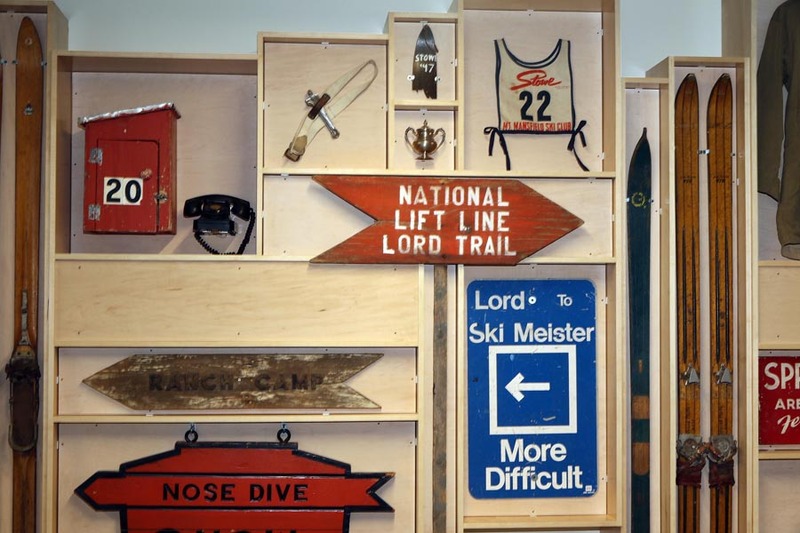 Sisler Builders of Stowe, Vt., collaborated with Vermont Ski & Snowboard Museum to create a cabinet that displays, in a unique way, Stowe’s skiing history and artifacts from the museum’s collection. 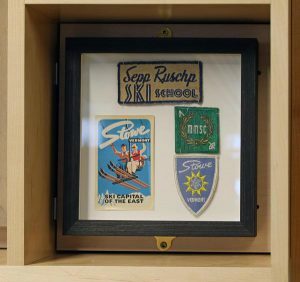 The cabinet is located in the Adventure Center at Spruce Peak, where visitors can walk right up, view the items at eye level, and get a sense of the history and evolution of Alpine skiing. Seth Allen, custom woodworking division manager for Sisler Builders, said it took about four weeks to design and build the cabinet and another week to install it. Master woodworker Glen Waller finalized measurements and the design, and built it with Craig Gants and Allen. “Everything was built with blind fasteners. You can’t see any screws or hanging devices,” Allen explains. 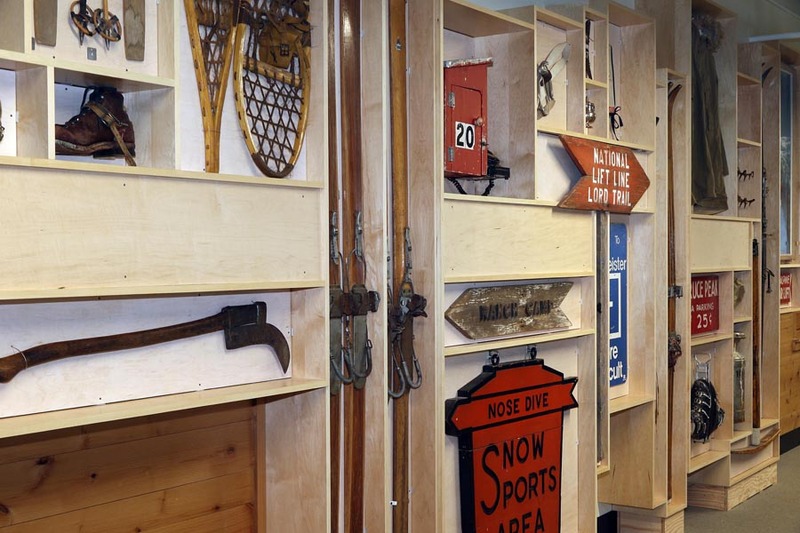 The team took measurements of each individual ski item and built “boxes” sized precisely to each item’s dimensions. Like assembling a puzzle, they organized the boxes to create a final display measuring approximately 20 feet long by 8 feet high. They used prefinished maple and whitewashed raw maple plywood, with exquisite attention to detail. The museum provided materials, while Sisler Builders donated the design, knowledge, and craftsmanship to create the custom display case. 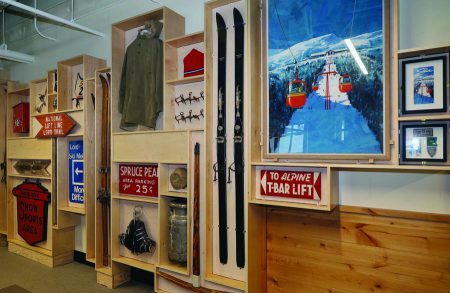 Owner Steve Sisler, a longtime skier and ski history enthusiast, was happy to donate his company’s expertise to build the cabinet for the Vermont Ski & Snowboard Museum so that visitors to Stowe Mountain Resort could enjoy a different perspective of Alpine skiing. For more information contact Sisler Builders or call 802-253-5672.